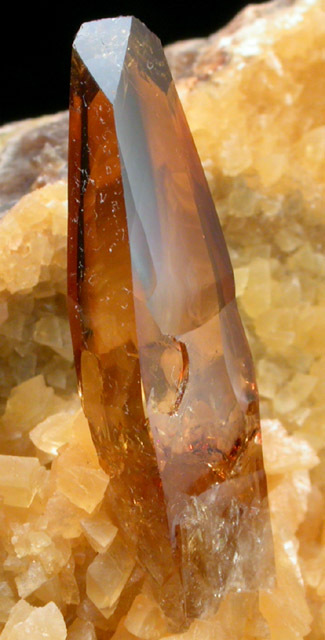 Description: Single transparent golden barite crystal 30 mm long standing upright off matrix coated with translucent yellow calcite crystals up to 5 mm. 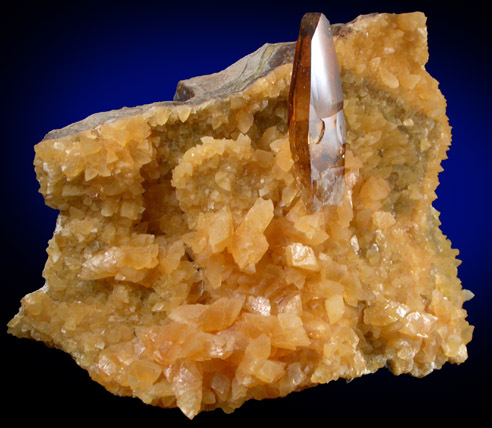 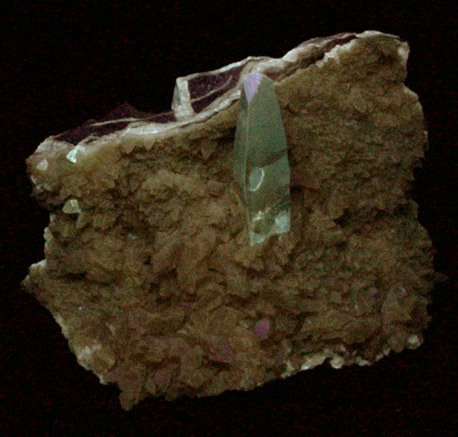 The barite crystal has glassy surfaces and chisel-shaped termination. 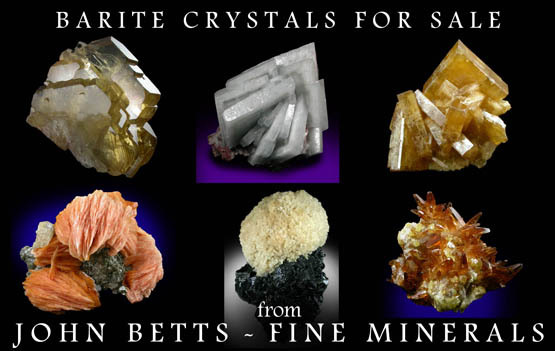 The cluster sits nicely without support.